Not all trees sleep the same – High temporal resolution terrestrial laser scanning shows differences in nocturnal plant movement – Research – Aarhus University – Trees Sleep! and have equivalent of heartbeat! We confirm the existence of overnight “sleep” movement for some trees, but conclude that circadian movement is a variable phenomenon in plants, probably controlled by a complex combination of anatomical, physiological, and morphological factors. As the Iran deal deadline approaches, Germany and its European co-signatories are sticking to the agreement. US President Donald Trump plans to announce a decision on the accord on Tuesday. 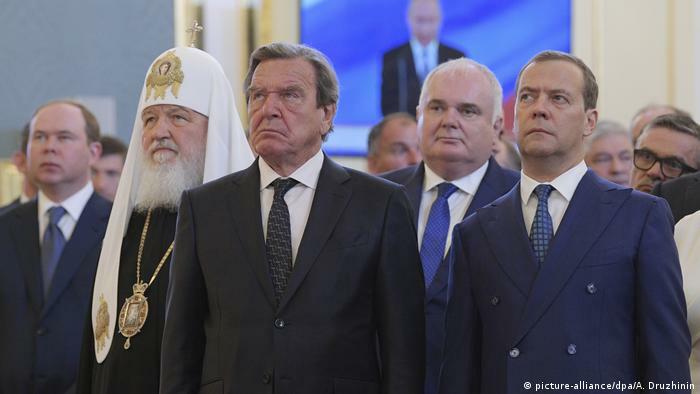 Gerhard Schröder’s prominent place at Vladimir Putin’s swearing in has raised eyebrows in Germany and abroad. Schröder, the chairman of Russia’s Rosneft, has been calling for an end to sanctions against Moscow. New files suggest the E.P.A. chief’s close control of his public events is driven more by a desire to avoid tough questions than by security concerns. The president suggested that investigators were “getting caught.” But the F.B.I. officials left voluntarily and were not involved with the Russia inquiry when they resigned. He Paid for His Mentos. Then an Officer Pulled a Gun on Him. – The New York Times – how many times does something like this happen daily? How many times does someone end up daed or arrested? What are good police doiong about this? John DeCarlo, a former police chief and an associate professor of criminal justice at the University of New Haven, said that he reminds police officers to treat everyone they encounter with respect, from mundane interactions to very intense ones. Everyday encounters, like seeing an officer in a gas station, shape people’s overall perceptions of the police, he said. “We have an innate fear of police to begin with,” Mr. DeCarlo said. “It’s about treating people how you want to be treated.” Mr. DeCarlo was startled as he watched the security footage of the off-duty Buena Park police officer. “Oh my goodness,” he said as he watched the officer retrieve his gun. “Holy mackerel.” He said that the officer violated the most basic rules governing the use of force by the police. No matter the situation, officers should issue verbal commands first. Pulling out a gun should be a last resort. “What the officer did was incredibly inappropriate,” he said. Laughing at Donald Glover’s sendup of Kanye hasn’t made watching him unravel any less infuriating or devastating. spoken like a true lying fascist! The hardline rightwinger was re-elected for a third successive term as prime minister in April after a strong anti-immigration message secured a landslide victory. He was asked to form a government by the president, János Áder, on Monday. A prominent Iranian-American supporter of the Iran nuclear deal says he was warned by US intelligence during the presidential transition that his communications would be targeted by the Trump camp in a bid to discredit him.